Ridley Scott made an interesting decision for the voice of God, and it raises an important question. How would you depict God’s voice if you were making a movie? 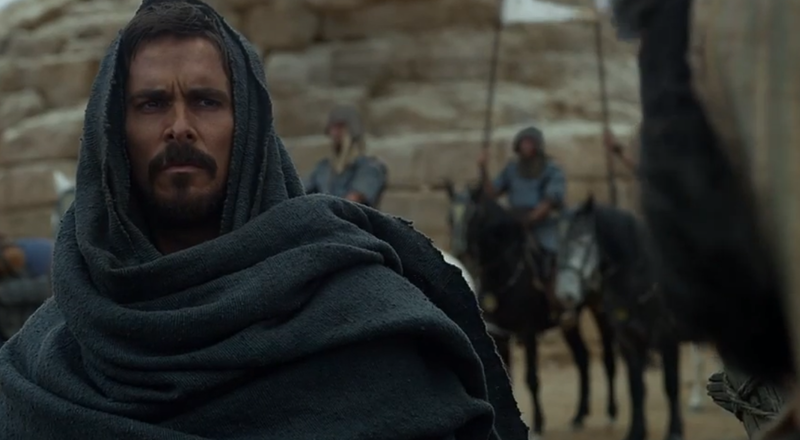 I was fascinated to hear of director Ridley Scott’s choice in his soon-to-released epic Exodus: Gods and Kings. Scott cast an 11-year-old British schoolboy to play the role. The director said the boy was chosen to ‘exude innocence and purity’. In the 1998 animated movie, The Prince of Egypt, each cast member whispered God’s lines, so that His voice ended up sounding like a symphony of various people. Does God’s voice sound like an innocent child? Or does it sound like a cacophony of whispers? Or does it sound deep and mature, like an echo-y James Earl Jones? Is it gentle and soft or firm and demanding? Does God have an accent? I can empathize with Ridley Scott’s dilemma. It’s difficult to portray a spiritual voice in a natural way. I constantly trying to think of creative ways to describe the experience of hearing the voice that’s variously described as a double-edged sword (Hebrews 4:12), a loaf of bread (Matthew 4:4) and a guiding light (Psalm 119:105). We know that God speaks, but we often struggle to recognise it when He does. When Jesus walked the earth, it was easy for his followers to recognise his voice. They would hear it as they chatted with him along the dirt roads of Judea and as they bantered over bread and olives in their homes. It wasn’t difficult to work out if it was God speaking because everything Jesus said and did revealed God’s will. He was the very words of God lived out in the flesh (John 1:1,14, Hebrews 1:1-3). But then Jesus left and they could no longer sit with him at the table. They could no longer hear him teaching in the synagogue. With so much still to learn, it was difficult to understand why he would leave. It would be better, he said, if he left (John 16:7). Then his voice would be able to go beyond the halls of Jerusalem, past the streets of Judea and further than the steps of the Temple. His voice would go where he couldn’t go because it would come via his Spirit. And unlike the days of old where only a select few experienced his voice, it would come to all who wanted to hear it. When I first asked God to speak to me, I expected His voice to be loud and booming, a sound that reverberated through the air with some sort of mystical force. I expected to hear His voice through my outer ear. I didn’t expect it to sound like every other thought I had. Sometimes people do get to hear an ‘outside’ voice, but I’ve never heard it. We know God can speak with an audible voice if He wants to. It seems to happen rarely; on those enormously monumental occasions, like when the Father spoke about Jesus at his baptism or when God called Saul in the middle of the Damascus Road. But even in those times, not everyone in earshot seemed to hear it (Matthew 3:17 cf. Mark 1:11, and Acts 9:7 cf. 22:9). Mostly it seems, the Spirit speaks to us with an inaudible voice, that voice that sounds like one of your own thoughts. A ‘still small voice’ that’s easy to miss (1 Kings 19:12). I imagine that’s why Samuel found it difficult to notice when he first heard it in the middle of the night (1 Samuel 3:1-10). “Is that you Eli?” he asks. “No,” answers Eli, and then Samuel hears it again. “Are you calling me Eli?” “No” repeats Eli, and Samuel hears it again. It wasn’t Eli’s voice, but it sounded like it could have been. There was no angelic song accompanying the call; no shofars trumpeting from heaven. It was just an ordinary voice. Like Samuel, practice will make hearing God’s voice easier, over time. You learn to notice the difference between God’s voice and the myriad of other voices in your head. You learn to distinguish between the voice of God and the one from your mother saying; “Don’t forget your coat,” or the voice of your flatmate saying; “You haven’t taken out the garbage yet,” and of course your own voice that says any number of useless things. Then amongst them all, there’s this other voice; it’s steady and strong. It speaks in ways that make you stronger and fills you with hope (1 Corinthians 14:3). It’s a spiritual voice that brings life to all who hear it; a voice that sounds like Jesus.